The Ikelite Housing for Sony RX100 V/VA is constructed from the new cream colored polycarbonate blend, which is lighter and stronger allowing for a smaller housing than previous models. 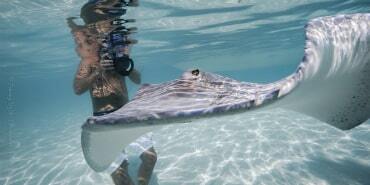 It still retains the see-through backplate that Ikelite is known for. This allows you to easily view your camera and o-ring seal. 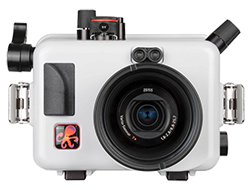 In addition, the housing features two fiber optic ports and full camera control. This model is also compatible with the RX100 III & IV cameras. 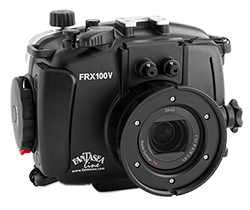 The Fantasea RX100 V/VA Housing is a well-designed polycarbonate housing with full camera functionality available. It features control knobs for all dials and buttons, matching the camera layout. In addition, this housing includes a leak detector with audible alarm and a double o-ring seal for added security. This housing is compatible with the RX100 III & IV as well. 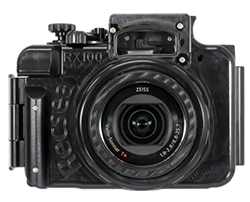 The Recsea RX100 V/VA CW Housing is the less expensive option from Recsea as compared to the Aluminum version. The CW version is crafted from polycarbonate and includes a clear backplate allowing you to view your housing seal, checking for any intrusion of hair or dust, etc. This housing gives access to the majority of camera functions, except you do not have a rear dial on the back, so you can only use the button function of that control on the camera. This housing is also compatible with the Sony RX100 IV Camera. 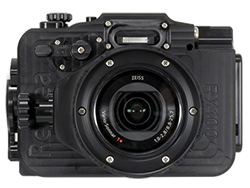 The Recsea RX100 V/VA Aluminum Housing is a high-quality housing made from machined aluminum with a depth rating of 100m (330ft). Matching the position of the controls, this housing features similar dials and buttons making a seamless transition from using the camera to using the housing underwater. 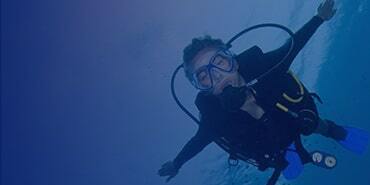 In addition, it is compatible with Recsea's "Airlock" Vacuum system for additional security. This housing is also compatible with the Sony RX100 IV camera. 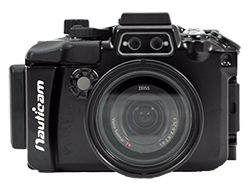 The Nauticam NA-RX100V/VA Housing offers full camera control in an expertly crafted aluminum housing. 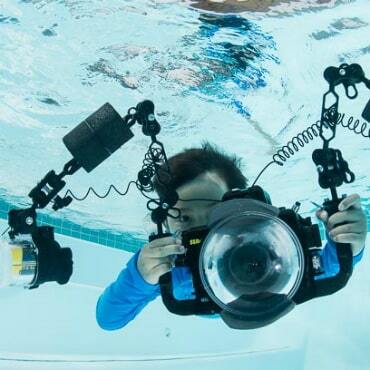 Depth rated to 100m (330ft), the housing layout focuses on ergonomics, moving the controls from the camera location to a better-suited location for use underwater operation. 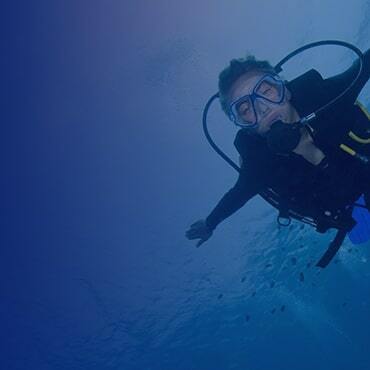 It is compatible with a range of useful accessories from Nauticam, including the vacuum check and bayonet adapter for wet lenses. 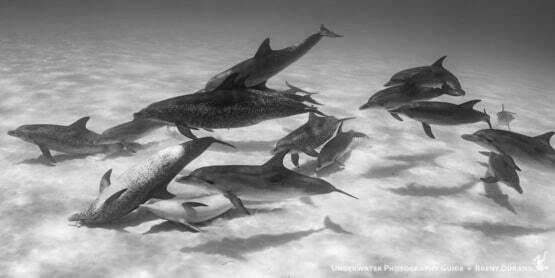 Check out the all in one "Pro Kit" for the Nauticam RX100V/VA Camera. This includes the housing, dual handle flexitray with ball mounts, and vacuum bulkhead with the pump kit. Priced to save you over $150 from purchasing those pieces individually! 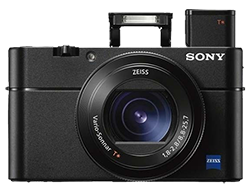 The Sony RX100 V/VA camera is arguably the most popular compact camera currently on the market. Since the release of the original RX100, Sony has dominated the large sensor compacts with high-quality resolution, good focus speeds and great features. The Sony RX100 VA camera was a relatively quite update from the original RX100 V offering updates with a new processor, and a few firmware tweaks. It offers improvements from previous RX100 versions including 24 fps burst shooting mode, slow-motion video shooting at 960 fps and 4k video recording for sharp high-quality videos. 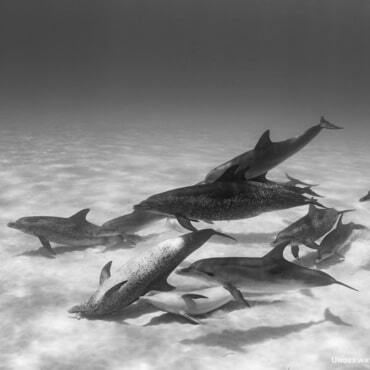 The 20MP 1-inch sensor provides great resolution on still photos, and the bright Zeiss 24-70mm lens offers a nice zoom range, making it an excellent choice for underwater photography.